If you have any questions or want to enquire about dates, use our form to contact Graham & Elizabeth Waugh or see their website for more information. So grand is this 18th-century dower house that the Roosevelts spent their honeymoon here. New owners have carried out an inspired restoration and created a relaxing, heavenly place to stay. There’s a welcoming hall with a vase of fresh flowers, and a daily housekeeper lays fires and looks after everything. Step into a big, warm, wood-panelled living room with sofas, logs, candles, more flowers and an antique table that seats 14. On the lower ground floor are three bedrooms and a room for music, games and TV; on the first floor are four big bedrooms decorated in a mix of contemporary and classic style; most beds are super-king sized and bathrooms sparkle within an inch of their lives; a spiral staircase leads to a little room with views of the Cromarty Firth. The beautifully equipped kitchen lends itself to eating, drinking and chilling; if you want a break from cooking you can arrange for full or part catering: breakfast, lunch, dinner, celebration dinner, or even a whole wedding! Buzzards soar above the six acres of wooded hills, and your charming hosts live in a bothy at the back – they’re happy to share their local knowledge, and well-being treatments are on offer too. Absolutely everything you could want in a luxury holiday home. We had the most wonderful week and can't recommend highly enough. For over 10 years our annual family reunion has been at Assynt House. It is so beautifully appointed it cannot fail to impress. The food is delicious and the rooms sumptuous. We can't wait for our Christmas booking and enjoying the house in winter. We;'ve been staying at Assynt every year for about 12 years now and really love our time there. It's a special place for our family as we lived in the house in 1960 to 1962 (long before Graham and Elizabeth did the incredible refurb!). 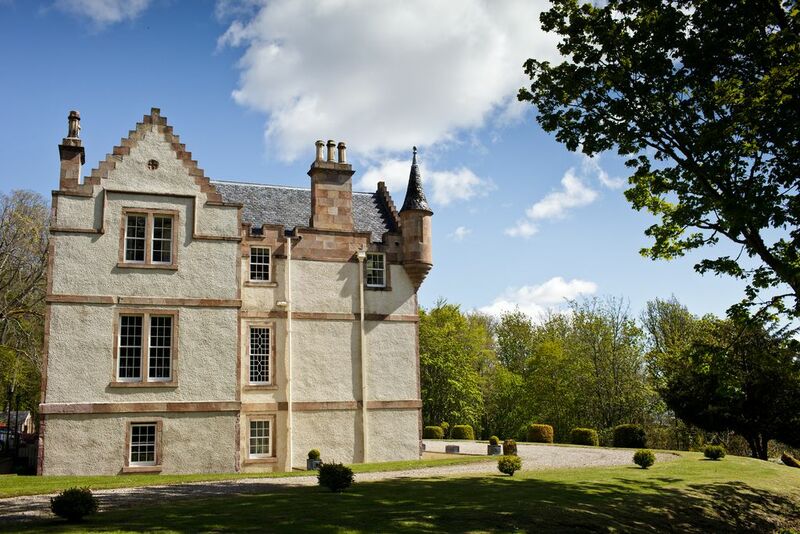 The house is very luxurious, beautifully kept, Graham's cooking and the whole dining experience is spectacular and the location is also wonderful, nestling in the heart of the Highlands above the Cromarty Firth. Can't wait for our Christmas visit!! I loved it so much I wrote a blog about it! Classy, elegant and the perfect place to relax when searching for the perfect Highland retreat. Wonderful hospitality! I never wanted to leave! Assynt house is an absolutly stunning house with wonderful helpful hosts. We had our wedding here in 2008 and it was an amazing weekend with beautiful photographs. All made that bit more special because my husband helped renovate the house from a ruin so a very personal experience. Assynt House overlooks The Black Isle and makes a great day out with sandy beaches, cafes and shops, boat trips and plenty of history. Salmon & Trout Fishing can be arranged on the nearby estates with guides and equipment. Loch Ness really is a must, by boat or by car, you might even spot Nessie! Dornoch Beach & Royal Dornoch Golf Course is a pleasant drive away and it's town and cathedral are worth a visit. The stunning Black Rock Gorge and Evanton Woods are just a short distance from the house, you will be spoilt for choice with fresh air and walks.